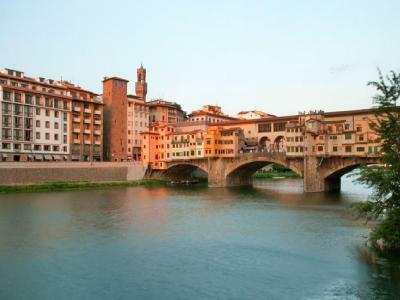 Lock in a great price for Hilton Florence Metropole – rated 8.2 by recent guests! The pool is incredible. And the staff (especially Antonio) are really helpful and kind. The location is a bit far - but there is a complimentary shuttle bus to and from the city centre which totally makes up for it. Thanks for a great stay! Helpful front desk, restaurant and bar open until late, food good, bartender Peter a gem, shuttle service to Centro, PARKING! Super clean. beds and pillows were very comfortable. During the day, the was plenty of staff onsite. The breakfast Experience was Good and Daniella was a perfect host. The Front desk staff helped us to book for Taxi,s promptly as needful . The lady that cleaned the room was very detailed,she did her job very well and there was no loss of any of our personal items. The free spa access during the weekend. Beds really comfortable. 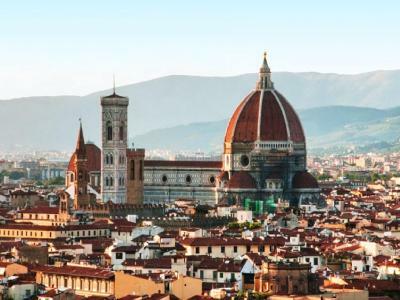 Hilton Florence Metropole This rating is a reflection of how the property compares to the industry standard when it comes to price, facilities and services available. It's based on a self-evaluation by the property. Use this rating to help choose your stay! The Hilton Florence Metropole offers spacious rooms, a wellness area with 24-hour gym. Free uncovered parking and free WiFi in public areas are both available. Shuttle service from/to Piazzale Montelungo is for free. The Metropole has air-conditioned rooms with wood floors, a marble bathroom, and an LCD TV. Some rooms include access to the panoramic 15th-floor Executive Lounge, where guests can make use of free WiFi. The 40-m² wellness area includes a large hot tub, a Swedish waterfall, and chromotherapy showers. Breakfast is buffet style, while the restaurant Luci della Città serves Florentine dishes and international cuisine. Snacks and drinks are served in the cocktail bar indoors. Just 1.2 mi from the A1 motorway exit, this Hilton is a 10-minute drive from the San Donato Park and Florence Peretola Airport. 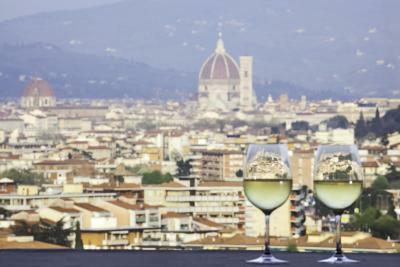 When would you like to stay at Hilton Florence Metropole? This room features parquet floors and a marble bathroom. Wi-Fi is available upon request. This bright corner room features double-glazed windows, a large work desk, and a private bathroom with bathrobes and slippers. Wi-Fi is available upon request. This modern-style room features a marble bathroom. Wi-Fi is available upon request. It provides access to the Executive Lounge on the 15th floor, including Wi-Fi access. This room has a beautiful view of Florence. Wi-Fi is available upon request. This large room features modern décor, soundproof windows and a spacious work area. It also has a marble bathroom and offers partial views of Florence. Wi-Fi is available in the room upon request. This room provides access to the Executive Lounge on the 15th floor, including Wi-Fi access. Set on higher floors, this room features beautiful views out over Florence. Wi-Fi is available upon request. Includes entrance to the Executive Lounge on the 15th floor with Wi-Fi access. This modern room overlooks Florence and has partial views of Florence Cathedral. It features a large work area and a marble bathroom with a bathrobe and slippers. Wi-Fi is available upon request. On the 15th floor, this bright suite includes a separate living room with flat-screen TV. It features modern décor and a marble bathroom with a bathrobe and slippers. Wi-Fi is available upon request. Featuring partial views of Florence Cathedral, this bright room has modern décor and a marble bathroom with a bathrobe and slippers. Wi-Fi is available upon request. This rate includes entrance to the Executive Lounge on the 15th floor with Wi-Fi access. On higher floors, this bright, corner room features double-glazed windows and access to the Executive Lounge. It is air-conditioned and features satellite flat-screen TV and a private bathroom. This suite has air conditioning, iPod dock and tea/coffee maker. House Rules Hilton Florence Metropole takes special requests – add in the next step! Hilton Florence Metropole accepts these cards and reserves the right to temporarily hold an amount prior to arrival. The shuttle is a 34-seater bus. Reservations for this service are not possible, and the shuttle is on a first-come-first-serve basis. The hotel is not responsible for any changes or cancelations of this shuttle service. Please note that the wellness center is open daily from 09:00 until 21:30 and comes at an extra charge of EUR 8 per person. The access is free at weekends. the stuff is always rude and improper in the attitude, when we did the check-in the stuff told us the breakfast was include and in the morning they charged us said the wasn't and for drink a coffe as we was in late they charged us 18Euro. Big room and renovated bathroom big plus for me. When checking in tours, the front desk wasn’t interested in existing guests trying to order a taxi, as previously advised by them day prior - “just pop down and we will call your cab when you want it”, nearly missed our tour of Chianti! That we were upgraded prior to arrival, which was unexpected. Very helpful staff . The food was terrible! Ordered twice and both instances were just bad! Probably the worst food I’ve had at any hotel especially for the type of hotel this is. When staff called to ask what the issue was with food returned I was greeted an attitude and he hung up on me mid sentence! The bathroom was spacious and nicely designed although a little worn. The room was nice and clean although not well lit and a few lightbulbs were out so we had to call maintenance to replace them. The shuttle service was great, takes you right into town and is only about 15mins. The area didn't have much to do, you would definitely need to drive out to see anything special. Hotel food is not great. The Hotel was clean and comfortable! Elevators are, small painfully slow and frequently overcrowded. Staff were amazing, Antonio in the ground floor bar (as usual), Luca(or Luka?) on reception was fantastic helping me recover a lot wallet. Breakfast is really great. Various selection of breakfast food, milk, cheese. Coffee is exceptionally great. If I were to Be petty I would say the pillows. I’m more of a memory foam person but again that’s just me. Bathtub was dirty... Beer in the fridge expired... Breakfasf not worth the money.